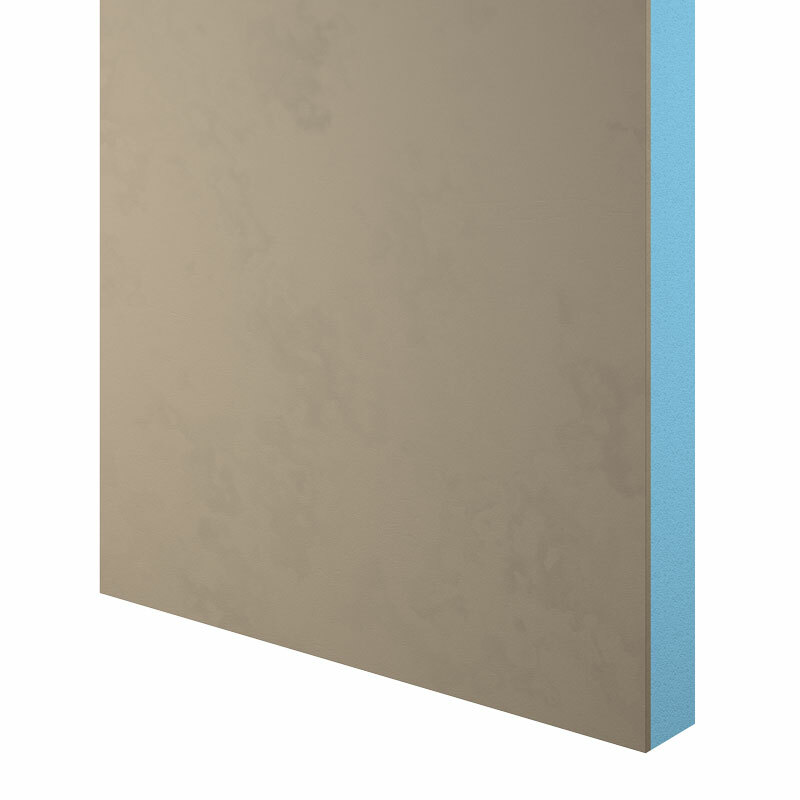 ProTherm SD Upstand Insulation Board is used to thermally insulate and protect upstand walls. Manufactured from a CO2 blown extruded polystyrene foam factory laminated to a 6mm thick weather resistant high impact facing board. Available in a range of thicknesses, see declared performance table for available thickness. ProTherm SD Upstand insulation Board has a Zero Ozone Depletion Potential (ODP), a Global Warming Potential (GWP) of less than 5 and an A rating in accordance with the Green Guide to Specification. 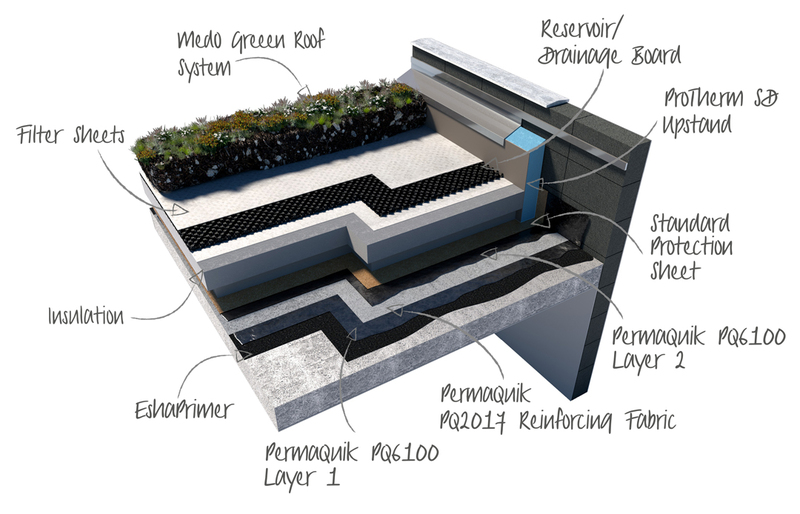 For use with Inverted roofing waterproofing such as PermaQuik PQ6100, EshaFlex, EshaUniversal and ParaFlex. For a comprehensive NBS J31 specification contract Radmat Building Products. Install ProTherm SD Upstand Insulation Board after completion of the PermaQuik PQ6100 or EshaFlex inverted roofing system.